Amazon go gave the world a glimpse of what is possible with AI. The e-commerce community is keeping track of Amazon’s experiment with keen interest. Before Amazon Go, nobody believed artificial neural networks were already ripe to enable such functionalities. Although it is still doubtful, the experiment is gaining momentum. Have you ever envisioned an ideal picture with no queues, check-out lines, and shopping carts? Initially, Amazon’s promises of smooth connection with the store’s smartphone app, and accurate charging for selected goods sounded doubtful but appealing. In-store customer experience also seemed admirable: the option of moving items to and out of a shopping bag – no shop assistants, but hosts of cameras throughout the store instead – seemed absolutely fantastic. The great job of Amazon’s engineers has put the idea of an innovative user-friendly and completely transparent e-commerce infrastructure into practice. Amazon has always been known for the avant-garde AI expertise. And the recent breakthrough in deep learning made this rise of AI in the e-commerce industry possible. New-gen artificial neural networks, employed by Amazon, encompass from hundreds to thousands of neural layers. The computer vision system is able to monitor each customer, product, shopping time, etc., and support all supply-related logistics several times more effective than any manager. It means Amazon possesses the technology of controlling the human factor, which itself is a leap in the automation of simple processes, i.e. the work of cashiers, store assistants, and security guards. The preliminary results of the experiment turned to be rosy to a lesser extent. Journalists and ordinary customers have tested the new store and found system imperfections. Errors can result in the system allowing customers to leave without paying. Or it can charge for an item a customer actually did not put in the bag. These bugs may seem not a big deal compared to the perks of the totally revamped shopping experience. But such issues jeopardize customers’ trust in the system. In case you as a customer have to double-check transaction or verify your virtual shopping cart, you feel like someone has stolen your joy. Perhaps, customers’ trust is currently the main issue for Amazon to improve. Amazon Go is not the first to pioneer cashier-free stores. However, as the leader of the AI-powered market, Amazon can afford the large-scale experiment. The recently launched store is not without its flaws. Amazon Go has inherited such disadvantages of brick-and-mortar stores as shoplifting issues. Despite an array of cameras supervising the store, the system could return errors processing the cases when cameras can’t detect customers’ faces. One can only guess what could happen in case a checkout-free store becomes a target for shoplifters and professional hackers. What if you’re shopping with someone else, but you’re holding their stuff? What if a child grabs items and tries to take them out of the store? What if your smartphone had been stolen and someone went shopping using your account? In case your smartphone was stolen right in the store – many reasons for that – how to get through the hi-tech gates? What if you entered the store, just for the ride, without a smartphone? In case you enter for the ride and decide to make a purchase a bit after, what are you to do? Amazon looks beyond all e-commerce retail solutions and platforms we have witnessed before. They have implemented technologies that open stunning perspectives for all other industries where manual work is widespread: logistics and traffic control; the work of conductors in public transport or employees in airports and railway stations; security services. Consumers will be able to take or order what they want, use what they need and pay via an app. Everything of this kind is possible due to the advancement of AI- and deep learning-based technologies that are going to be fine-tuned to perfection. Obviously, great opportunities stem from the tech leap forward, and consumers will soon be exposed to the dramatically improved user experience. The customers are puzzled and excited not to have to wait in lines or deal with cashiers. Computer vision, sensor fusion, and deep learning technologies do it all, and customers get charged 5 minutes after leaving the store. Many could label such state-of-the-art shopping experience as an upgraded version of “Big Brother.” In fact, consumers will eagerly adopt the new e-commerce reality, which will make all consumption goods cheaper through the elimination of paid manual work. Amazon hides the insight of the implemented technologies under buzzwords. But traditional brick-and-mortar stores and other Amazon’s industry competitors have to keep up with the innovative experience. Some technologies – although they become common and widely-used today – are still quite unusual. Smart shopping carts: Customers can use IoT-based carts that help calculate purchases costs, provide additional information about products and their location within a store and cut time spent at the cash desk. Indoor navigation: An amazing and useful feature for large shopping malls. The digital mapping technology navigates customers to the right shelf or location and makes the user experience more personalized and AR-powered. Computer vision and Augmented reality: AR systems offer the best way to provide customers with the large volume of information about products. They also allow presenting related out-of-stock products and thus greatly personalize customer experience. Amazon’s experiment is going on and not in vain. 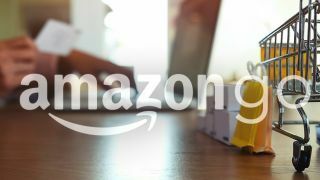 Amazon – a future-oriented developer and provider of sought-after technologies – can be expected to transform the e-commerce reality into, say, the AI-commerce reality built upon latest deep learning-based solutions and unrivaled user experience.